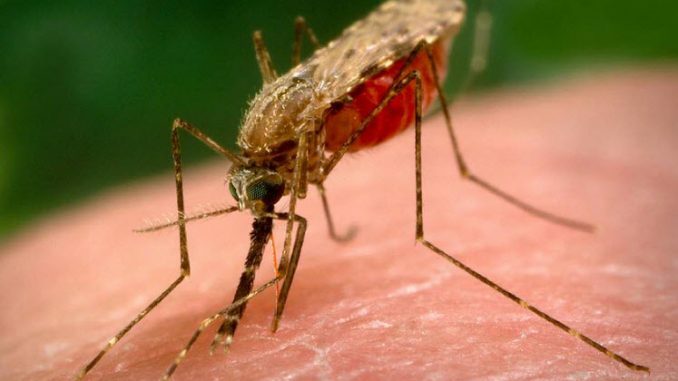 According to a new study recently published by researchers at the University of Notre Dame, just 10 minutes of light exposure can be enough to suppress biting and manipulate flight behavior in mosquitoes of the species Anopheles gambiae. Suppressing biting in A. gambiae is highly desirable, since this mosquitoe is responsible for a majority of all malaria cases in Africa. The study “ Light manipulation of mosquito behavior: acute and sustained photic suppression of biting activity in the Anopheles gambiae malaria mosquito” has been published in the journal Parasites and Vectors. A. gambiae is a mosquitoe whose behaviours – such as feeding, flying and egg laying – are time-of-day specific. When it comes to feeding on blood, it displays a great propensity for night-time meals. During the study, Notre Dame researchers tested the mosquitoes’ preference to bite during their active host-seeking period by separating them into multiple control and test batches. Some batches were exposed to a pulse of light for 10 minutes, while control batches were kept in the dark. To see how eager the mosquitoes were to feed, the researchers would hold their own arms next to a mesh lining through which the mosquitoes could feed. The mosquitoes were thus tempted in this way immediately after the pulse and then every two hours throughout the night. What the researchers found was that the mosquitoes that had been exposed to the light were much less eager to feed compared to the mosquitoes that had been kept in the dark. In another experiment, researchers turned the light pulse on for 10 minutes every two hours throughout the 12 hour long night. They found that with this method, biting could be suppressed during a large portion of the whole night. Why not just leave your night light on? According to Duffield, pulses of light is probably a better choice than just leaving the light on throughout the night. That’s because mosquitoes are more likely to adapt to constant light than to light presented in short bursts. The researchers are currently testing the effectiveness of light at different wavelengths, including red light since most people are less disturbed by red light than white light when they sleep. The goal is to develop solutions that can be used nightly by people in areas where A. gambiae and malaria exists. Insecticide-treated bed nets and walls have helped prevent bites and reduce malaria in the region, but mosquitoes are now developing resistance towards commonly used insecticides and also shifting their feeding habits to evenings and early mornings when people are not in bed and thus not protected by the bed net. We need to discover new methods to address mosquito control and prevention. The systems and tools we currently have including global distribution and usage of insecticide-treated bed nets and spraying are not enough,” says Duffield.